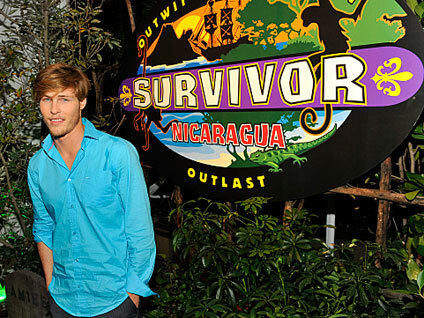 NEW YORK (CBS) "Survivor: Nicaragua" winner Judson "Fabio" Birza has been arrested on suspicion of being under the influence of a controlled substance. Law enforcement sources told TMZ.com that police noticed the 21-year-old around noon on Wednesday riding a skateboard in the street, which is illegal. They stopped Birza, noticed he was acting strangely, and determined he was under the influence, according to the report. Police in Santa Monica, Calif., arrested him and took him to the station, where he was booked and jailed. TMZ reports that he was also booked for an unrelated DUI warrant, as well as a probation violation. Birza is currently being held on $37,000 bail.